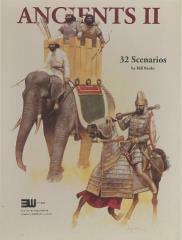 ANCIENTS II features 32 scenarios covering battles from 1800 B.C. to 1400 A.D. It is low complexity and suitable for solo play.